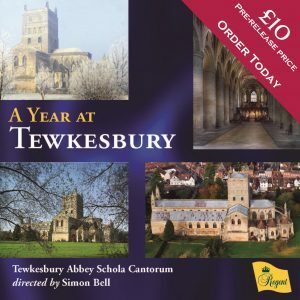 Tewkesbury Abbey Schola Cantorum records exclusively for Regent Records. Since 2013, the choir has recorded three albums. This recording consists of a selection of music for the Feast of the Assumption of the Blessed Virgin Mary and was released in February 2018. Feast days in the Abbey are typically celebrated by two major services: a Eucharist, and Solemn Evensong. This recording includes the vibrant Missa brevis by Jonathan Dove, alongside works by Philip Moore, Grayston Ives and Francis Poulenc, amongst others. A recital of music for the Christmas season. The programme includes some well-known carols in new arrangements along with several contemporary works commissioned for the choir in recent years. A selection of works reflecting the different seasons of the church’s year. 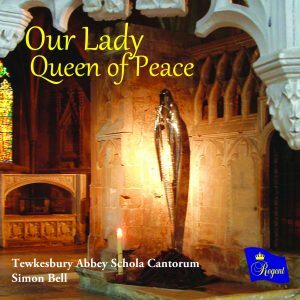 In addition to works for Christmas, Holy Week and Easter, the feast days of the Blessed Virgin Mary, to whom Tewkesbury Abbey is dedicated, are featured, along with three works commissioned for the choir. 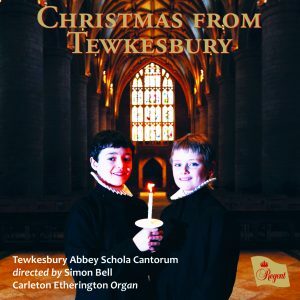 This album was featured as Editor’s choice for Organists’ Review magazine.